These melamine dinner plates are so charming and you don't have to be worried about bringing them outside! They are sturdy plastic but so gorgeous � so who cares? Lively and useful, great for indoor and outdoor entertaining. 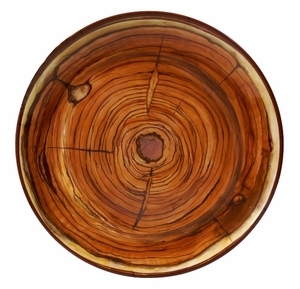 We love the unique feel these exciting melamine dinner plates bring to the table. Mix and match them with any placemats and napkins at your next dinner party. Fun and colorful patterns will help to give your table setting some life no matter the time of year. These chic and lightweight melamine dinner plates can be used everyday use as well as special occasions. Try these melamine dinner plates in the backyard or by the pool where traditional dinnerware becomes a bit awkward. Melamine dinner plates are dishwasher safe, top rack only.